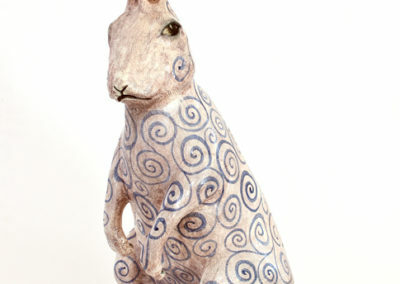 Martin Haines is a studio potter living in Nieu Bethesda has been producing a range of handmade flatware i.e. 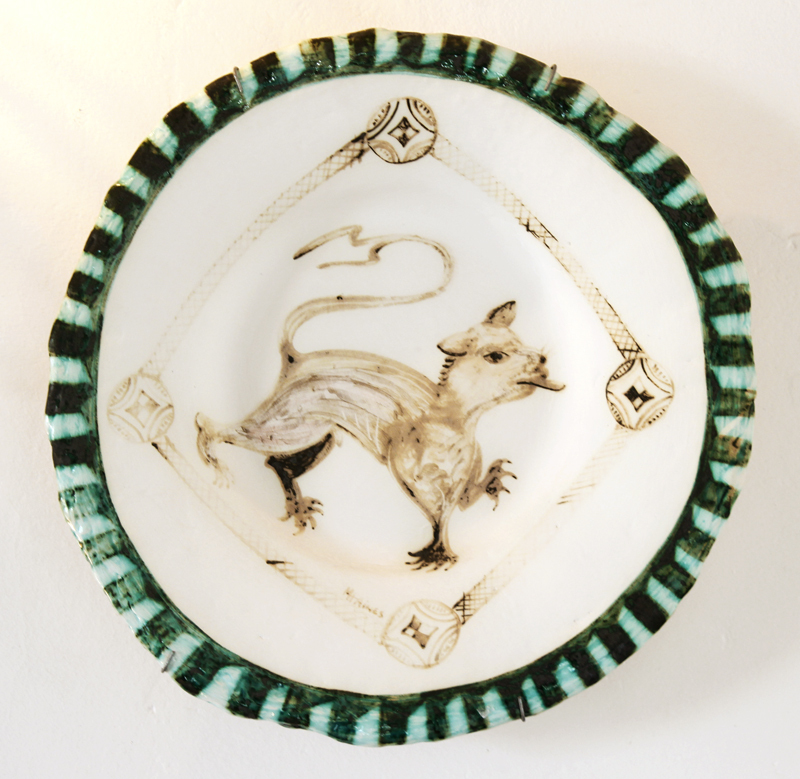 plates and platters, specializing also in the production of tiles. 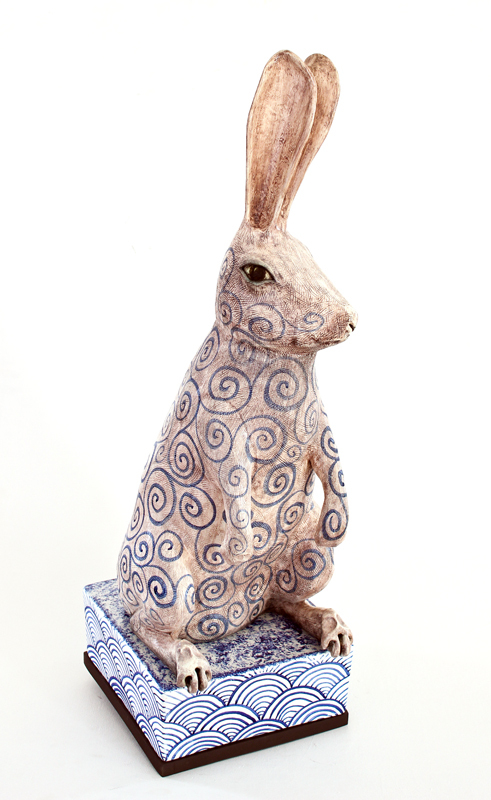 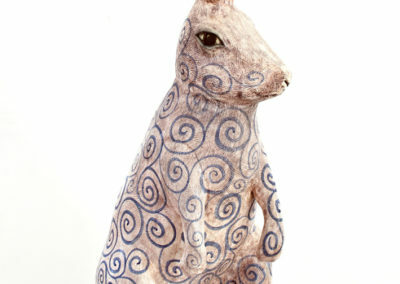 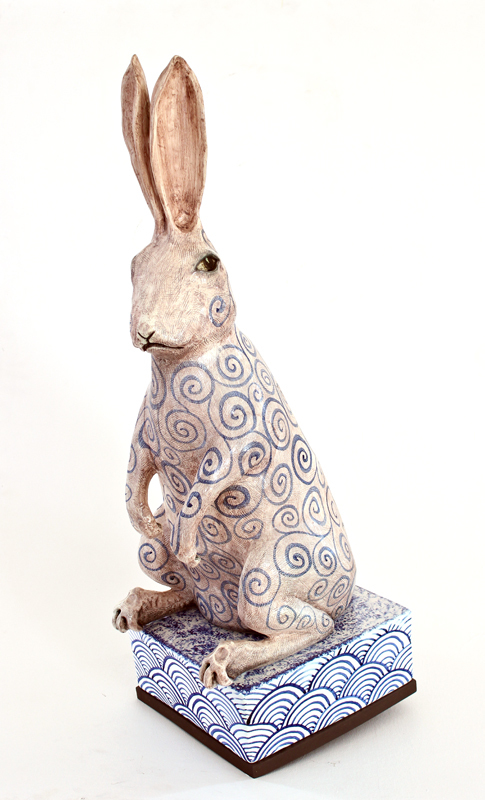 He has worked mainly in the colours of blue and white inspired by traditional early European porcelain of Delftware. 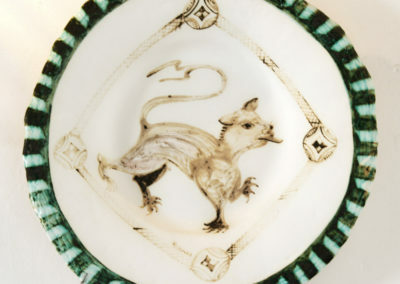 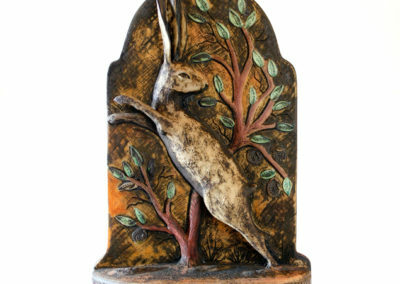 His work is usually highly decorative incorporating 17th Century motifs with contemporary designs. 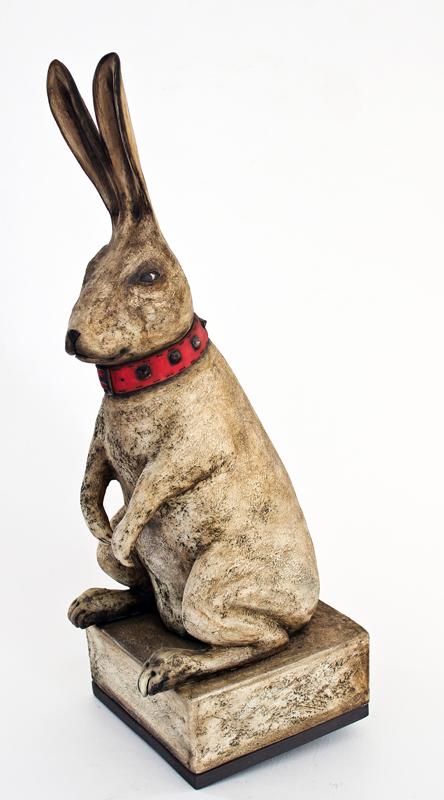 It is important to the artist that the work unlike fine porcelain has more of a rustic finish giving it a more tactile ‘peasant pottery’ feel. 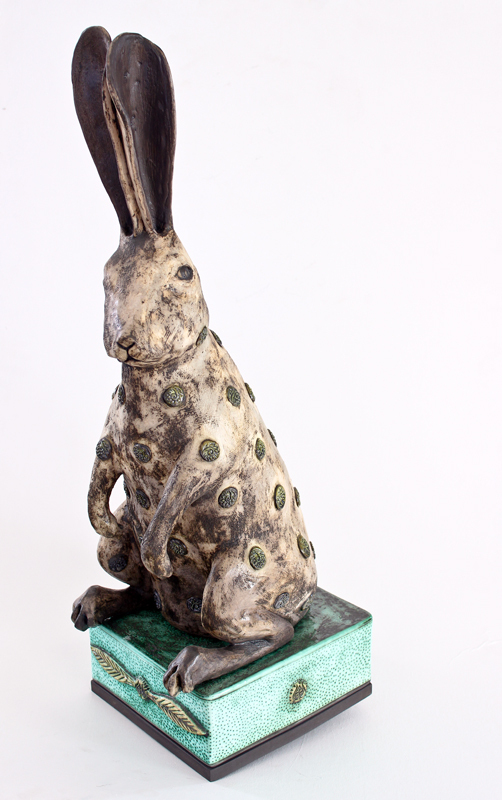 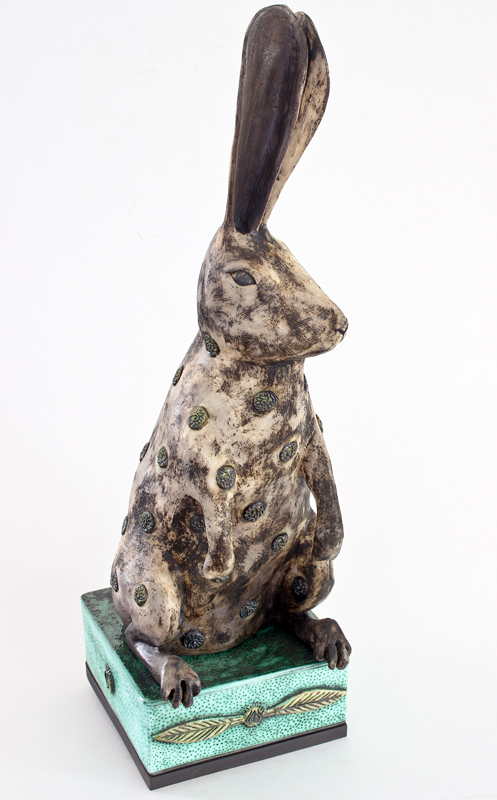 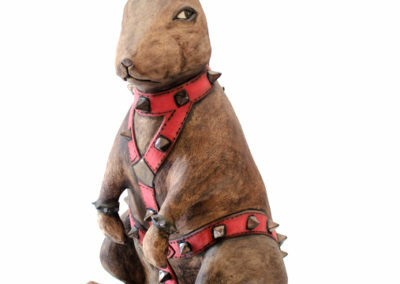 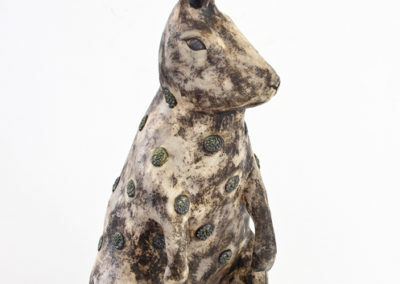 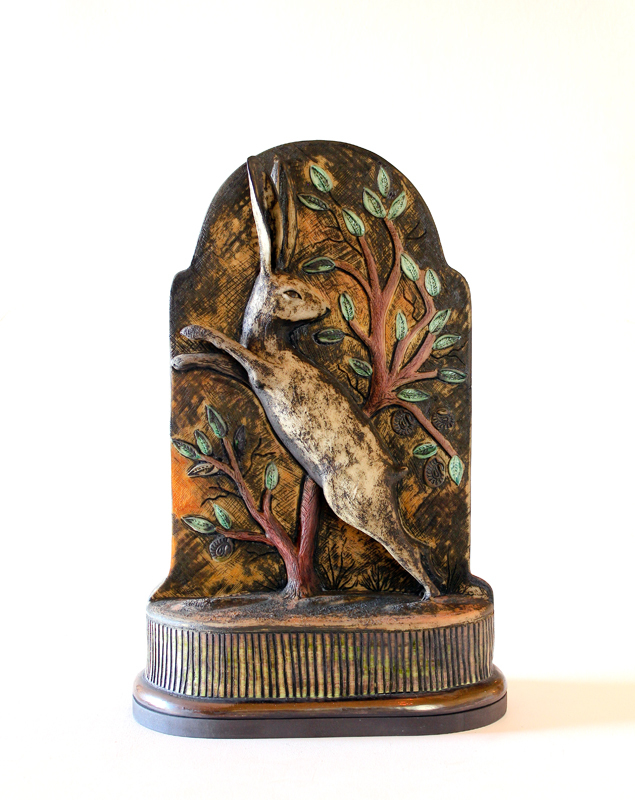 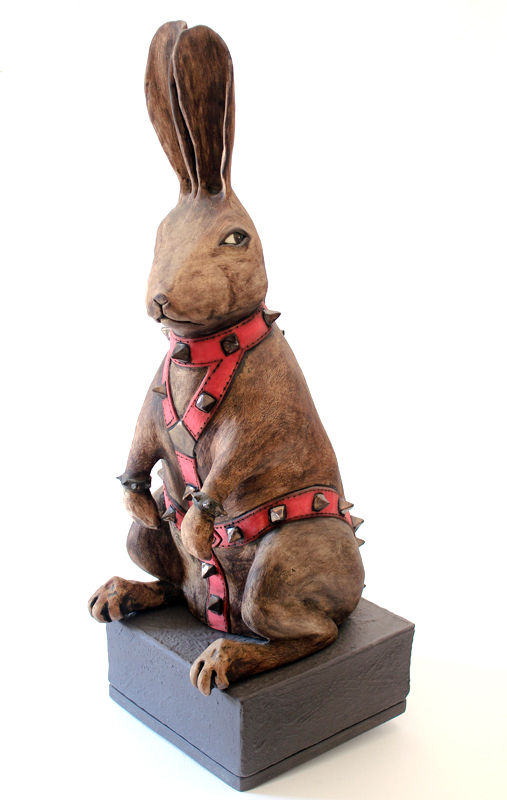 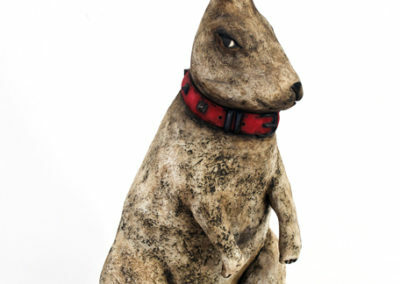 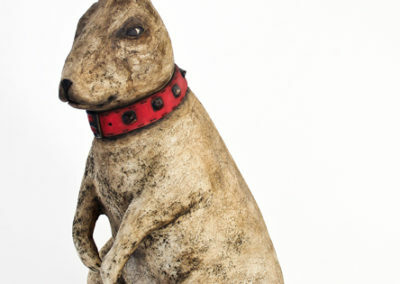 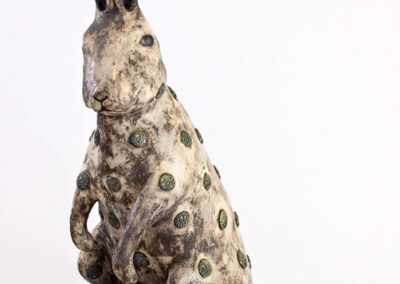 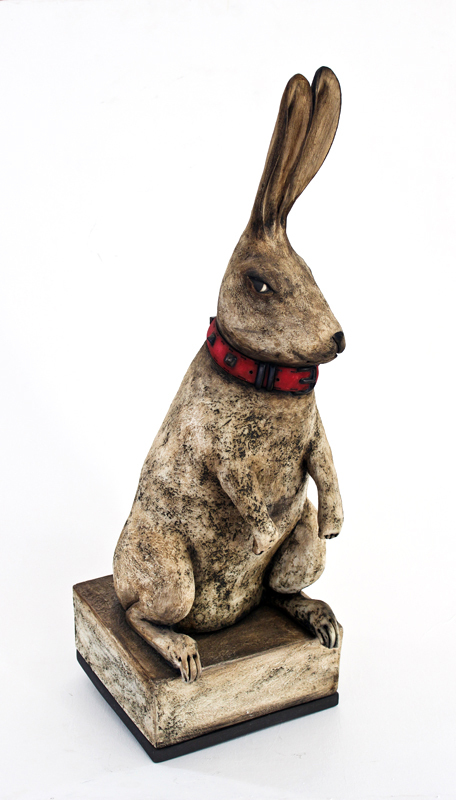 More recently Martin has branched out into the field of sculpture focussing particularly on hares, a few of which are to be seen in the Prince Albert Gallery.